Mix video, Flash, and still images together. Is there a better alternative to Quartonian Mixer? Is Quartonian Mixer really the best app in Video category? Will Quartonian Mixer work good on macOS 10.13.4? Quartonian is a VJ Mixer program created entirely in Quartz Composer. 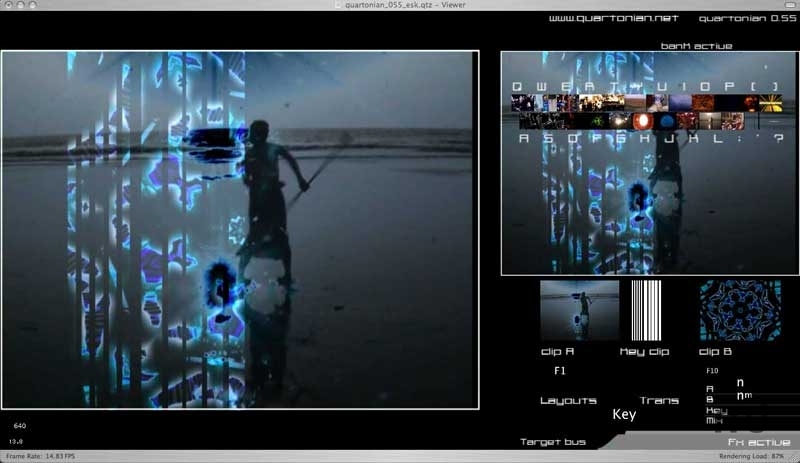 It allows Triggering, Mixing and Core Image effects on QuickTime files, Still Images, Quartz Composer compositions or flash animations. Quartonian Mixer needs a review. Be the first to review this app and get the discussion started! Quartonian Mixer needs a rating. Be the first to rate this app and get the discussion started!